Use of the marijuana plant and its cannabinoids for medical conditions is a controversial topic in the United States, although it is legal in several countries. No large clinical studies currently prove benefit and safety of medical marijuana because most studies have been on the harmful effects of recreational weed. Researchers are now conducting additional animal and human studies to gain more insight into the medical uses of marijuana. According to the director of NIDA, cannabidiol has several potential benefits without the euphoria and other brain effects of THC. The United States Food and Drug Administration (FDA) does not approve the use of the marijuana plant or its extracts for medical purposes because there is no proof of benefit and safety according to the FDA's standard approval process. 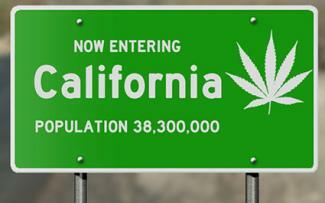 However, advocates have helped to make medical marijuana legal in several states for specific diseases. The website ProCon.org lists more details of the specified diseases approved for treatment in each legalized state. It also lists the amount of usable marijuana, and the number of growing plants allowed for an individual. Additional states allow the use of cannabidiol oil only. According to the American Cancer Society, a few studies show the marijuana plant and cannabinoids can help relieve the nausea and vomiting caused by cancer chemotherapy. Of note, a lab study published in 2007 in Molecular Cancer Therapeutics showed CBD could stop the spread of cancer cells or cause cell death. NIDA notes that in the United States, only two synthetic THC drugs, dronabinol (Marinol®) and nabilone (Cesamet®) pills, are approved by the FDA for treating chemotherapy side effects. Marijuana and cannabinoids are recommended to boost appetite and weight gain for people with HIV/AIDs who have problems with poor appetite and weight loss. They are sanctioned for this indiction in several states. Dronabinol is also approved by the FDA to treat this problem. According to a 2013 Cochrane Group review, however, there is not enough evidence to support the use of medical marijuana for HIV/AIDs symptoms. There is evidence from lab studies that marijuana and cannabinoids can decrease seizure activity by binding to receptors in nerve cells in the brain. A rat study reported in a 2003 issue of the Journal of Pharmacology and Experimental Therapeutics indicated THC could stop seizures for several hours. A 2012 Cochrane Group review, however, found there is not enough evidence to show effectiveness of medical marijuana for treatment of epilepsy in humans. Advocates believe medical marijuana, especially cannabidiol extracts, can treat difficult-to-manage seizures in some forms of childhood epilepsy. A survey of parents of children with epilepsy being treated with preparations of cannabidiol-enriched marijuana was reported in 2014 in Epilepsy and Behavior. The majority of children had fewer seizures; however, there is concern about the lack of good evidence or the quantity of CBD and THC in the marijuana preparations. Marijuana appears to decrease muscle spasms by binding to receptors in nerve cells and muscles. It is approved in several states to treat the pain and muscle spasms in multiple sclerosis. A study reported in 2012 in the Canadian Medical Association Journal showed smoking marijuana was more effective than placebo in treating these symptoms. Nabiximols (Sativex®), a mouth spray containing THC plus CBD is available in Canada and Europe for treatment of multiple sclerosis pain, muscle spasms, and cancer pain. It is being tested in the U. S. in 2015. A study at The Scripps Research Institute published in 2006 in the journal Medical Therapeutics found THC can block the accumulation of the amyloid substance that accumulates in the brain of people with Alzheimer's disease (AD). This substance is thought to be involved in causing the progression of the disease, and THC was more effective in blocking plaque formation than approved Alzheimer's drugs. A 2007 review in the British Journal of Clinical Pharmacology indicates cannabinoids could potentially treat some of the brain changes of AD to decrease the tremors and rigidity of the disease, but more research is needed. Research in the 1970s at the National Eye Institute on the use of marijuana for treatment of glaucoma showed it can lower fluid pressure in the eye, the hallmark of the disease. Because standard treatments are more effective, research in this area did not continue. Although some states allow the use of medical marijuana for glaucoma, the American Glaucoma Society, for example, does not recommend this. The reasons include the lack of sufficient data and the inconvenience, as marijuana would have to be used around the clock every three hours to maintain lower eye pressures. A small study reported in 2005 in the journal Rheumatology found Sativex® relieved the pain of rheumatoid arthritis better than placebo. A review of reliable studies on the use of marijuana and cannabinoids in various forms and routes to treat non-cancer chronic pain was published in a 2011 issue of the British Journal of Clinical Pharmacology. The author concluded medical marijuana was "safe and modestly effective in neuropathic pain with preliminary evidence of efficacy in fibromyalgia and rheumatoid arthritis," but more data is needed. Marijuana is thought to help the symptoms of inflammatory bowel disease (IBD), such as Crohn's disease. A small Israeli study was reported in 2013 in the journal Clinical Gastroenterology and Hepatology. Forty-five percent of the study subjects who smoked marijuana twice a day for eight weeks had remission of their Crohn's disease. Most of them had fewer symptoms from their disease compared to a control group, who smoked placebos. Some states, such as New Mexico, allow marijuana for veterans with post-traumatic stress disorder (PTSD). However, there are no studies yet to show evidence of any benefit, but researchers at the University of Arizona College of Medicine are hoping to prove this in a study of PTSD subjects and marijuana. Marijuana users smoke or vaporize and inhale the dried leaves, stems, flowers, and seeds of the cannabis plant. In addition, they can brew it and drink it as a tea, use an oil-based extract, or ingest it in food, such as brownies or cookies. The smoked or inhaled form gets into the blood and brain faster than the ingested form, which has to be first absorbed from the gut and metabolized in the liver, according to a 2007 review in Chemistry and Biodiversity. Metabolites of marijuana can still be found in the body long after it was last used. Though marijuana has the potential for benefit, the effective dose for each health condition is unknown. The concentration of cannabinoids varies from plant to plant and crop to crop, so a user can never be sure how much of the cannabinoids he is getting. In addition, prepared, usable marijuana may be contaminated with other substances, which may be dangerous. The benefit of dronabinol, nabilone, and nabiximol is that they are pure cannabinoids with known dosages. In a 2015 review of studies reported in the Journal of the American Medical Association (JAMA), the authors concluded there is moderate quality evidence for a benefit of marijuana and cannabinoids for reducing pain and spasticity, but the quality of evidence is poor for effectiveness for other symptoms. Marijuana also has a potential to lead to addiction if used long-term. In addition, smoked marijuana may have adverse effects on the lungs. There is also some concern that it may contribute to cardiovascular disease, as reviewed in The Journal of Clinical Pharmacology. According to the Office of National Drug Control Policy, it's against federal policy to prescribe, use, sell, or possess the marijuana plant or its products. The states that have legalized marijuana for medical use have a "look-the-other-way," provisional pass from the Feds to do so. However, physicians in these states are still under the threat of federal prosecution if they prescribe marijuana and so are users for use and possession. Details of the legalization vary in each state. Some counties and cities in a state may have additional regulations. In all states, a user must show proof of citizenship, and most require you to be certified and register to use medical marijuana, according to a summary by the National Conference of State Legislatures. Some physicians in legalized states will not certify medical marijuana. As illustrated by a patient case presentation in the New England Journal of Medicine, doctors have different opinions about prescribing marijuana for medical use. However, the consensus is that marijuana should be recommended for treating symptoms of illnesses only when the usual medicines don't work. 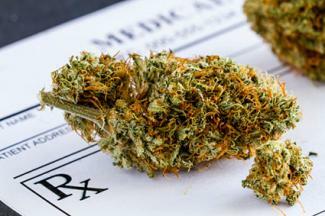 The American Society of Addiction Medicine, among other societies, does not endorse the prescribing of medical marijuana by physicians because of insufficient studies. 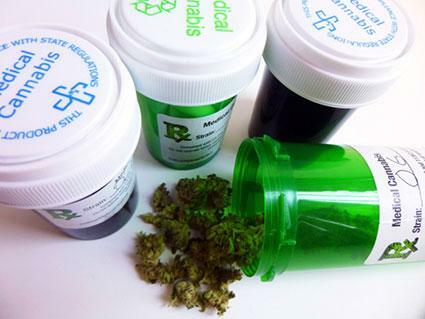 The use of medical marijuana for symptoms of disease is legal in many countries, such as Canada, the United Kingdom, Israel, Jamaica, and the Netherlands. However this is not the case in the United States in 2015, and the topic remains controversial. This situation is likely to continue until U. S. federal authorities and medical societies have enough evidence that medical marijuana is effective and safe for the treatment of various medical conditions.